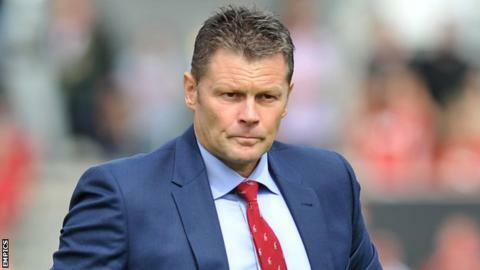 Bristol City manager Steve Cotterill will not change the team's style of football in response to their poor start to life in the Championship. His side have won just once this term and sit second bottom in the table. He told BBC Radio Bristol: "We will carry on doing the same things we are doing. I cannot see us changing and all of a sudden becoming a long-ball team that is direct and compact. "That would be an easy way to go but we will not go down the route." City won promotion last season playing a brand of fluid football and Cotterill is confident the same approach will pay dividends again. However, he admitted they need a change in fortunes, starting with their trip to fifth-placed Ipswich on Saturday. "We will end up taking our chances, we will end up playing the same football but we need that little bit of luck and we will have to earn that," he added.